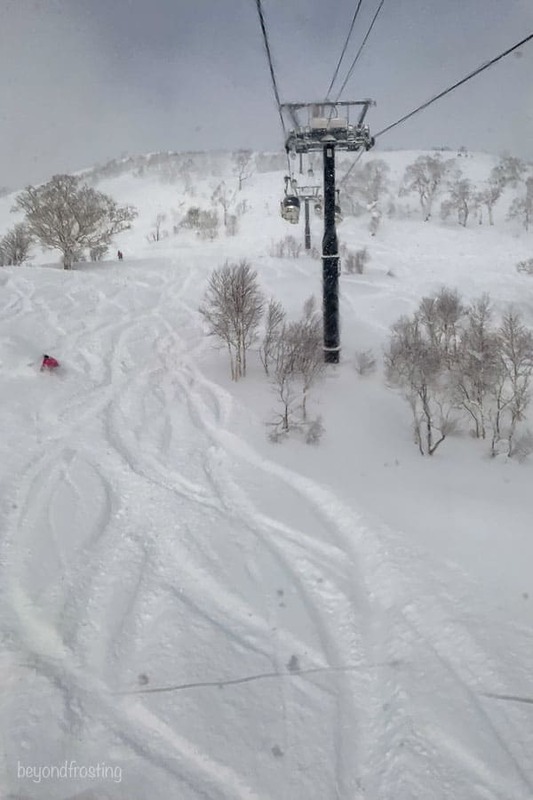 Part two of Honeymoon Japan, we find ourselves in Niseko! 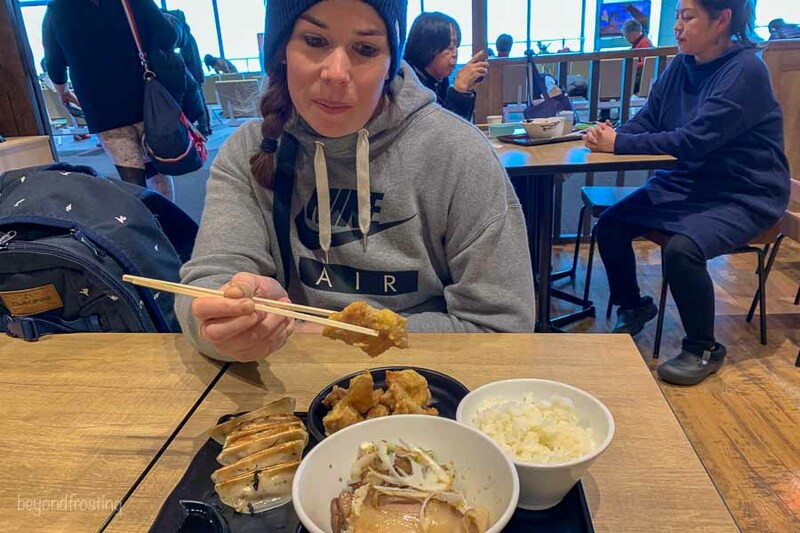 As I mentioned before, we had planned Japan as our honeymoon destination because our favorite thing to do together is to snowboard. 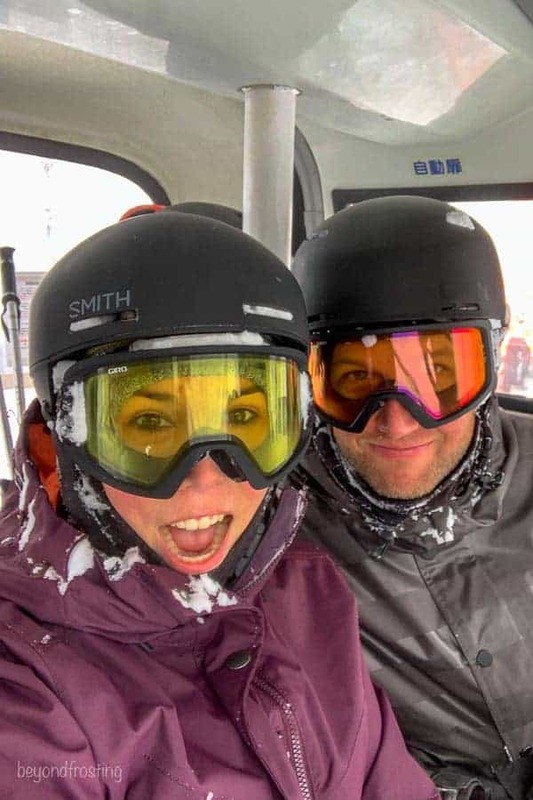 Even though we got married in March, we purposely delayed our honeymoon so that we could snowboard in our bucket list destination. It also gave us something to look forward to in the months following the wedding. 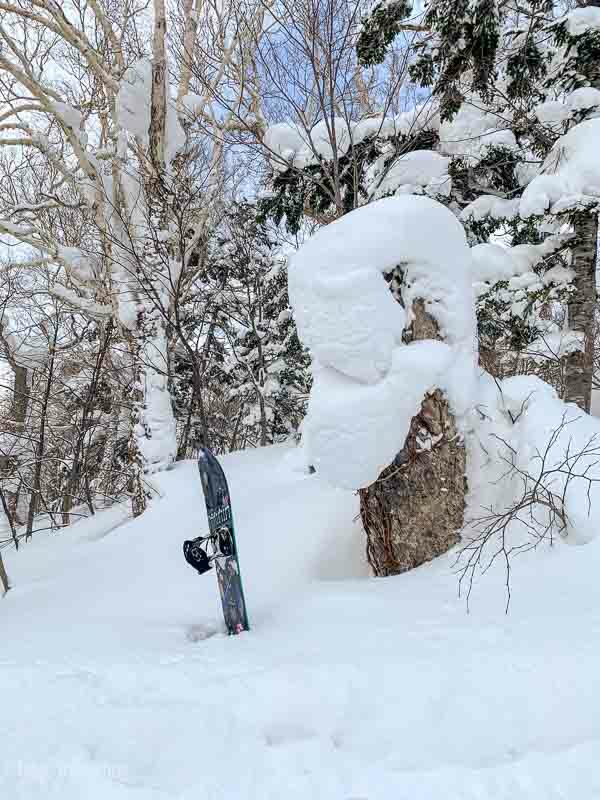 The mountains in Japan, particularly in the north are known for their endless powder days, often deep and the lightest, fluffiest snow you’ve ever seen. 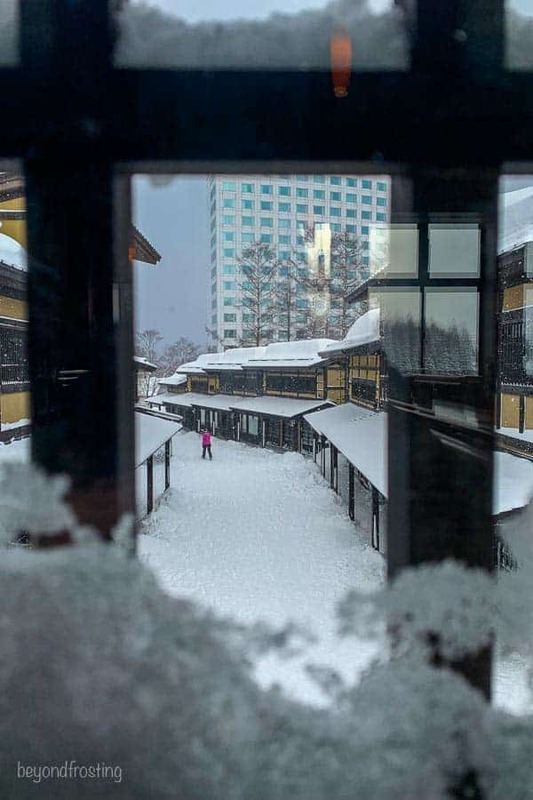 January is always their snowiest month also known as “Japow”. 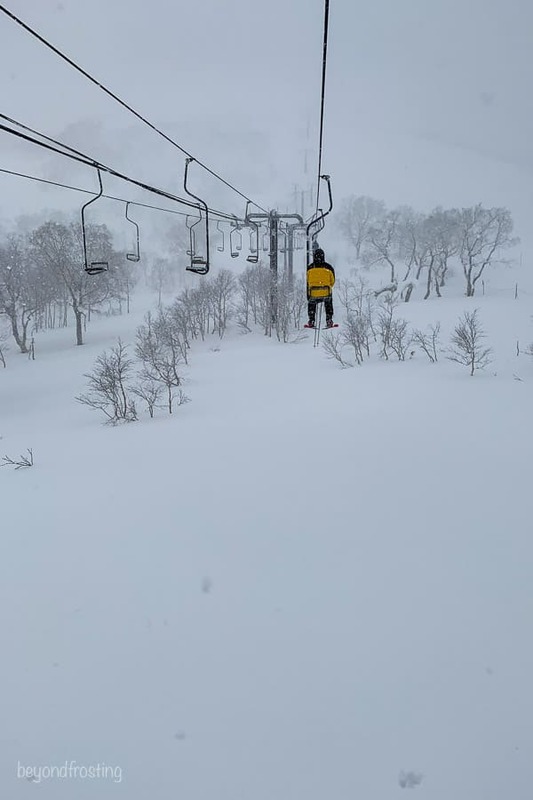 Our destination was on the island of Hokkaido, more specifically, Niseko, which is located about 2 hours from Sapporo. From the Sapparo (New Chitose) airport, we had booked a bus to take us to Neisko. This is the most common method of transportation for traveling to and from and around the mountains, especially with the unpredictable weather. As we later learned, they do shut down the highways during large snow storms! However, on our drive in, it was a crystal-clear day and we got to see the Mount Yotei volcano in all its glory. There aren’t very many clear days in January, so I felt very lucky to have such nice weather for the drive. 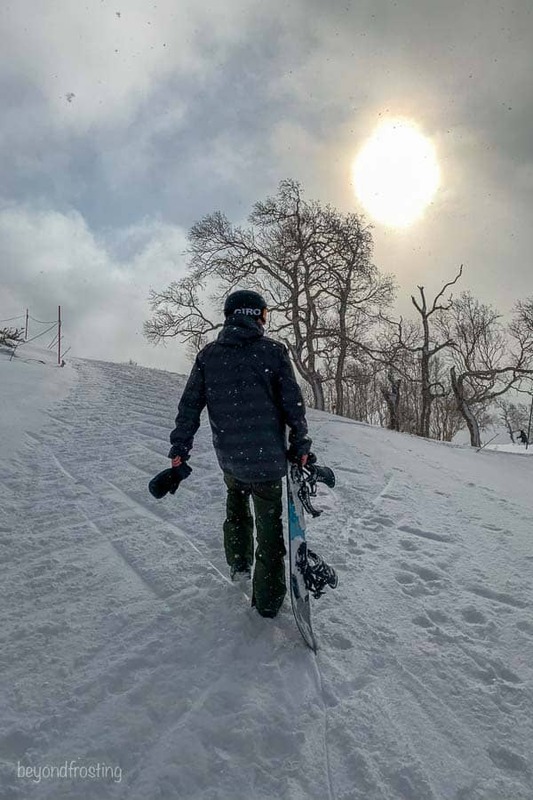 We planned to spend 10 days in the mountains, 7 of which were in Niseko and we divided our time between the Hilton at Niseko Village and a newly opened hotel Skye Niseko located at the base of Hurfu. 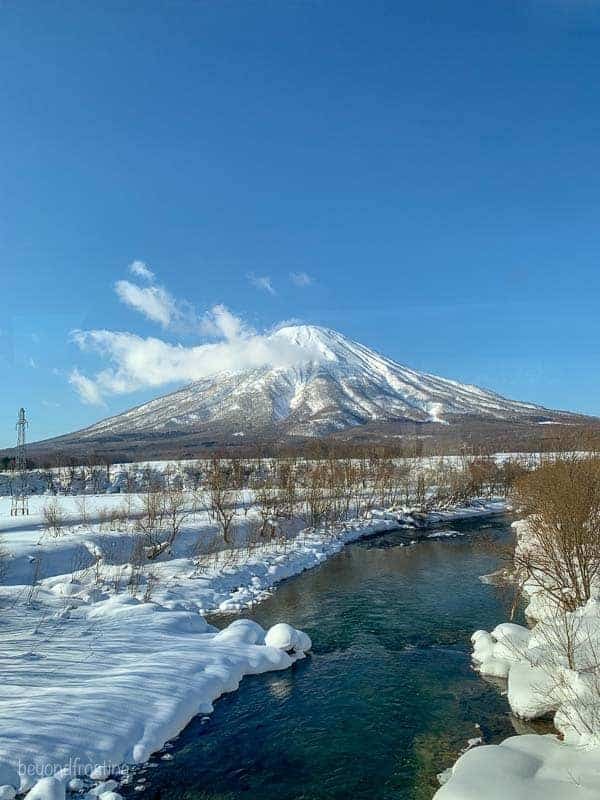 Niseko United connects 4 different smaller mountains including Niseko Village, Annupuri and Hanazono. If you’ve ever traveled to Breckenridge Colorado, then you might be familiar with their different peak”. Niskeo United is set up in a similar fashion, only a little more spread out. 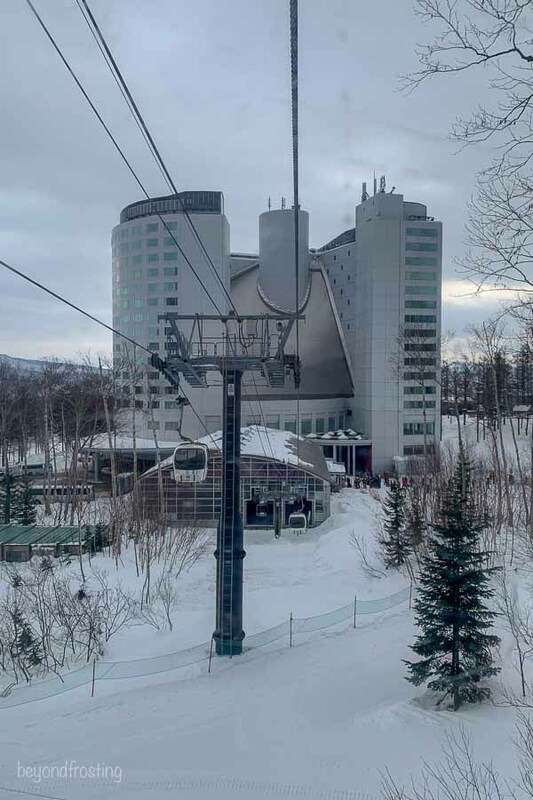 The first part of our trip, we stayed at the Hilton in Niseko village, which is nice because the gondola is right outside the hotel. There is a small village with a handful of restaurants just a short walk from the hotel. Our favorite restaurant was “Two Sticks”, we ate there a couple times during our stay. 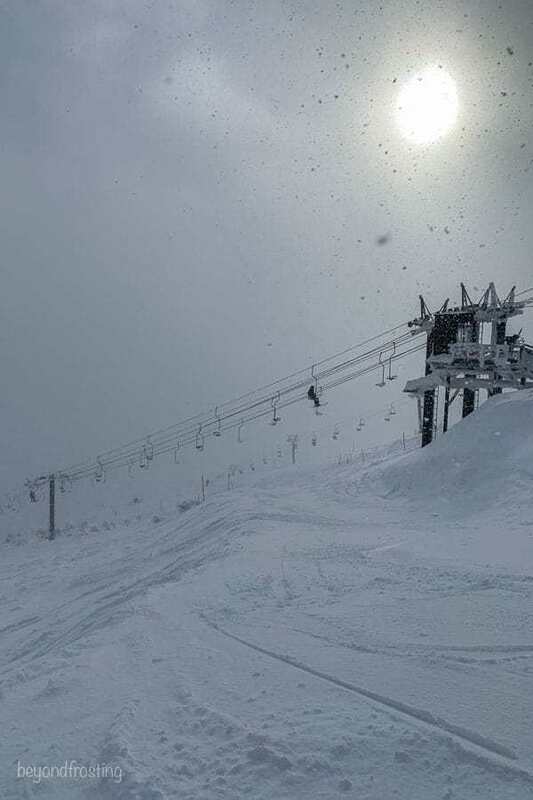 Our first day on the mountain….wasn’t great. Since it had been sunny and warmer the few days prior, there wasn’t fresh snow and the runs were a little hard pack and icy. The winds were also picking up because there was a storm heading in, but it did allow us to get a bit of the lay of the land before the storm hit. That night it started storming and it didn’t stop for 36 hours. We even got to ride the “pizza box” chair to the top. You are literally sitting on a square platform, with hardly any sides and a low back. I was definitely scared but it’s a short 5 minute ride! But the top was pretty amazing- so it was worth it. Day 3 is really when things started to pick up. It was deep, light and fluffy, just what we were expecting it to be. The gondola was closed, and it was windy, so we just had fun exploring the bottom half of the mountain, popping in and out of the woods. I can’t recall if it was day 4 or 5 when they finally opened the top again, but we got in line early at the Gondola and after a short hike and a little bit of a wait, we were at the top of “gate 11” when they dropped the rope for the first-time post storm. 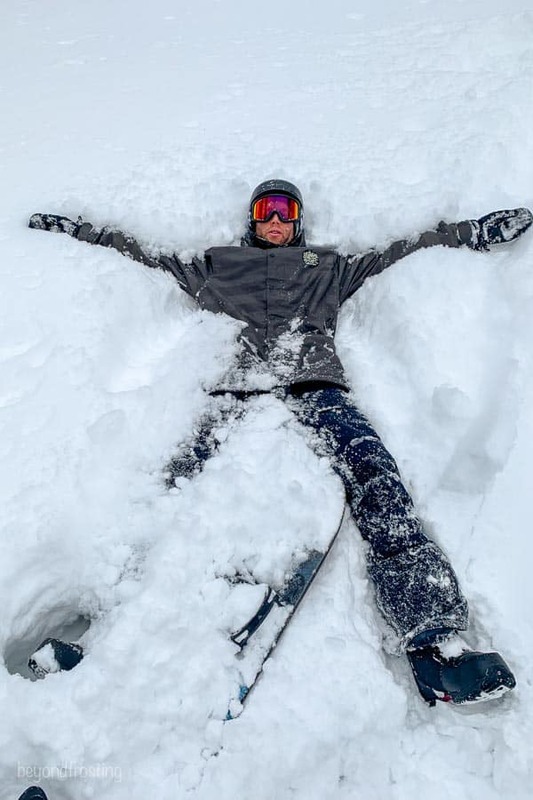 Anyone who chases storms for those fresh powder lines can understand and appreciate how rare it is to get those fresh tracks at a resort as they usually don’t last long. It was one of the best runs of my entire life, we hardly stopped on the way down because it was just SO fun. It was knee deep, fluffy snow, wide open to take any line you so choose. I had a permanent smile on my face. This is exactly the run I had dreamed about when I imagined what riding in Japan would be like. This was the view on our second trip up the gondola that day. Nothing topped that run for the rest of the trip, but man that day was fun, just exploring all over the mountain. After that first day it pretty much snowed the entire trip on and off. Some days it would be absolutely dumping and then a half hour later the sun was shining again, and then it would snow 10 minutes later. When it didn’t snow during the day, it often stormed at night. We spent our mornings on the mountain and the afternoons chilling at the hotel. 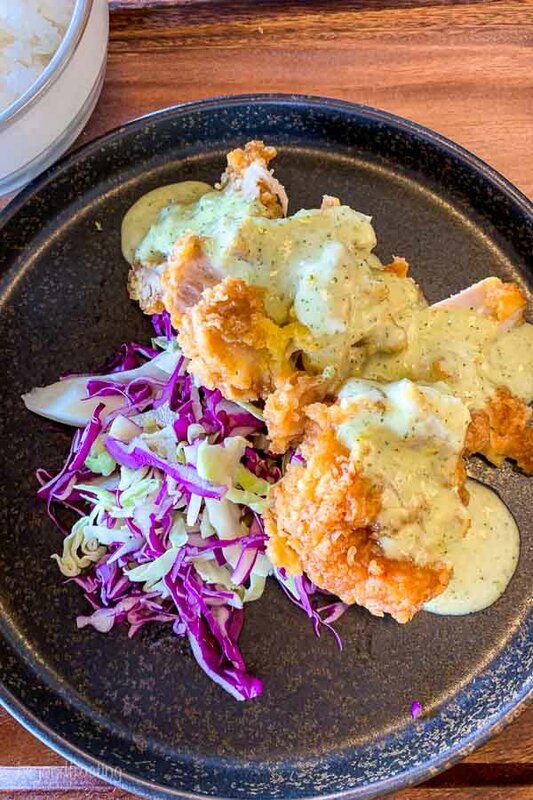 We also frequently visited the sushi restaurant at the Hilton, which had amazing fish, and an all-you-can-eat lunch special for $35. It was by far the best deal of the whole trip. I also enjoyed a stop at Niseko Takahashi Dairy Farm, also known as “Milk Kobo”. It’s a must-stop if you’re in the area. Apparently the Hokkaido cows (and milk) are quite famous in japan. 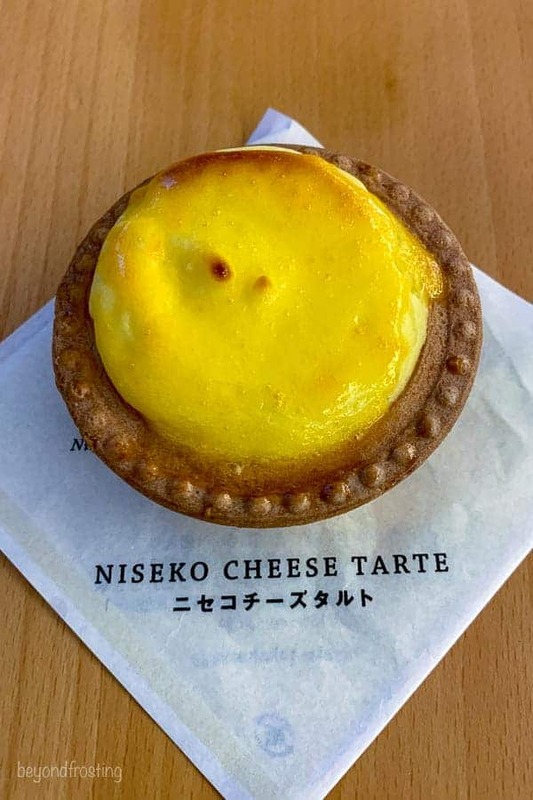 Naturally I got all the things including soft serve, the famous cream puffs, a cheese tart (a mix between a cheesecake and creme burlee) and lots of cheese for snacking on back at the hotel. 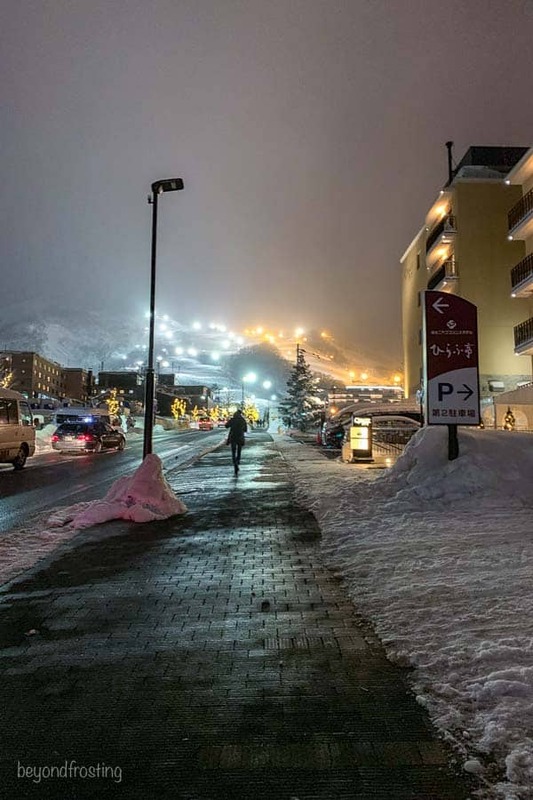 The second half of our time in Niseko was spent at the Skye Niseko hotel located in Hirafu. 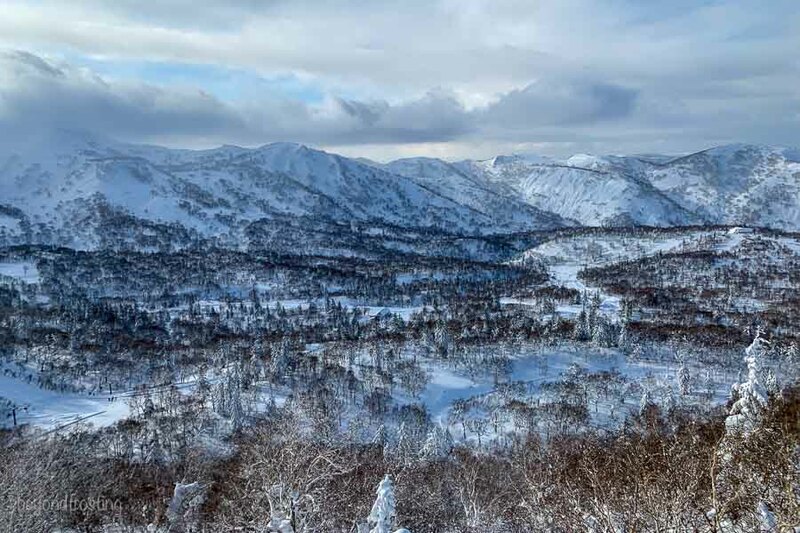 Hirafu is the main base area, closest to the town and also where they have the most, and best night skiing. 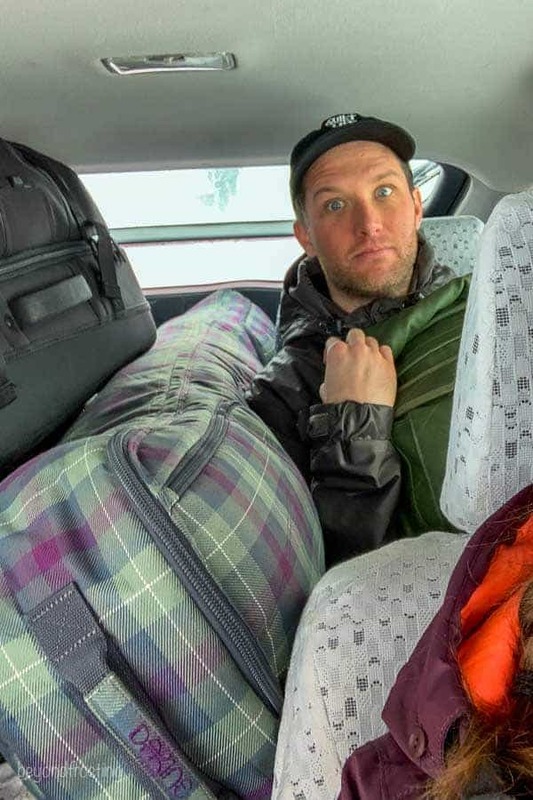 I almost forgot that we managed to fit 2 board bag, 2 large pieces of luggage, 2 backpacks and 3 humans in a Prius taxi that took us to our second hotel through the windy, snowy roads. 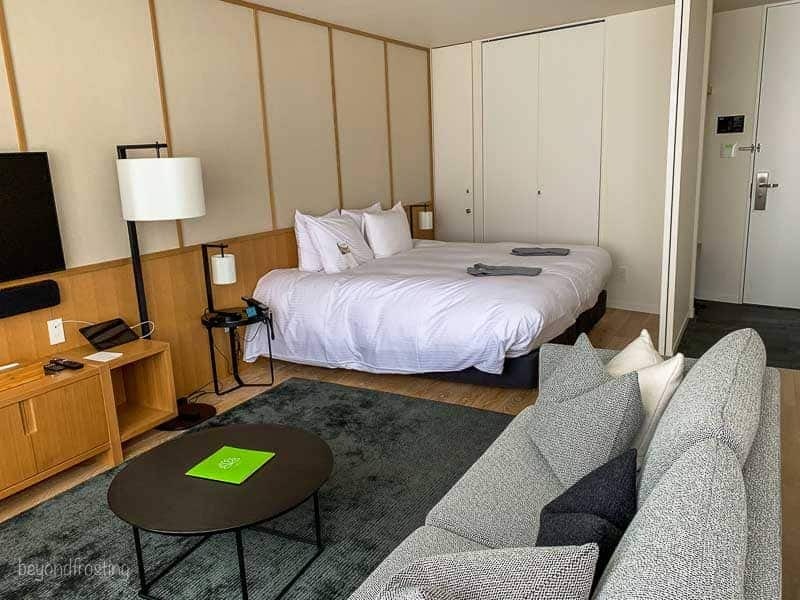 Sky Niseko is a newly built hotel with ski in and out access and it’s more apartment type accommodations with a kitchen and living area. Our studio room was the perfect size with stunning views of Mount Yotei (on clear days). 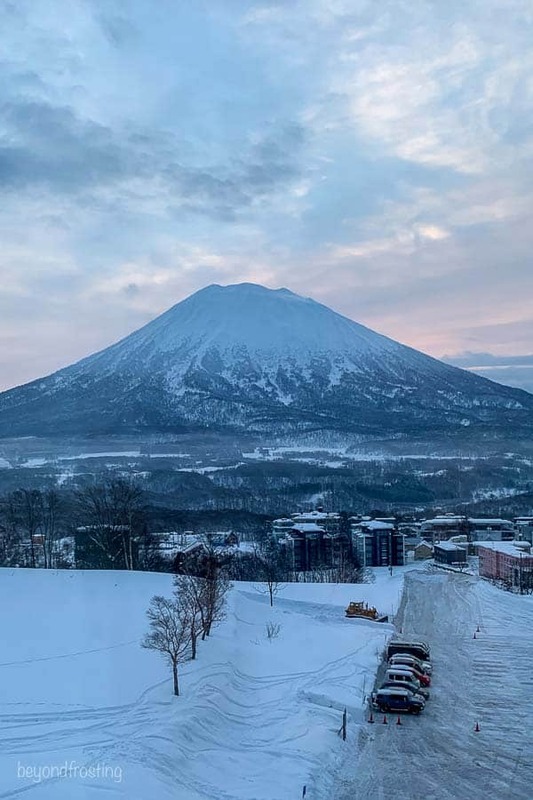 The best parts of Skye Niseko included the private Onsens, which you can book daily, the restaurant and the relaxing room set up. They have up to 4 bedroom suites. This is definitely a hotel I would come back to. We went night riding every night that we stayed there because it was so convenient to come and go. 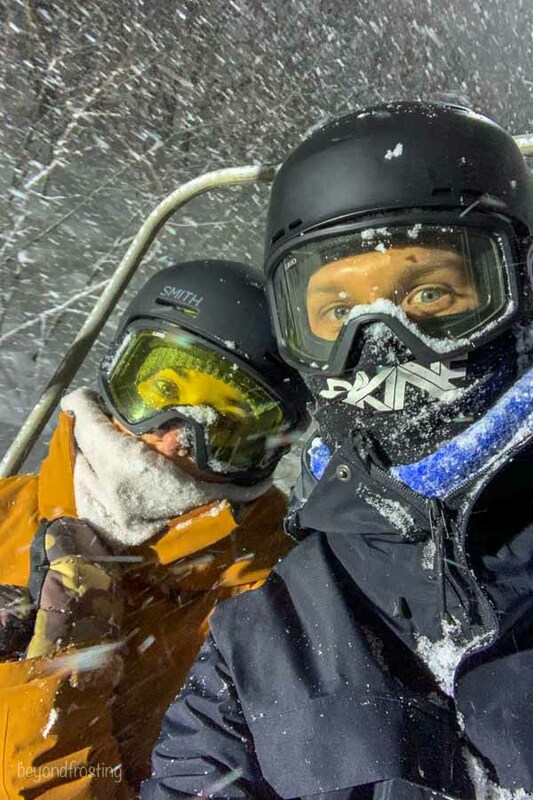 Night skiing in the powder was also a dream come true. The mountain is fairly well lite, but if you have a head lamp, you can even ride in the trees! 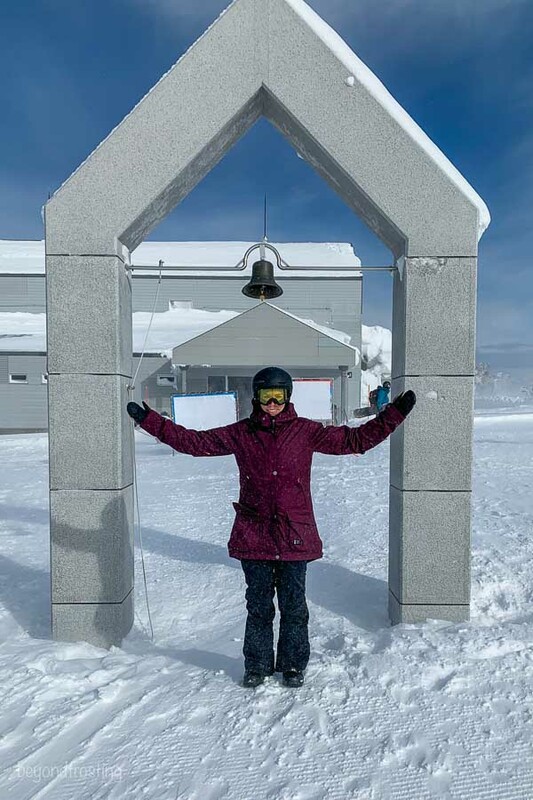 It also snowed every night that we went out which made it even more fun! The one thing we didn’t do a lot of, was eat in town. 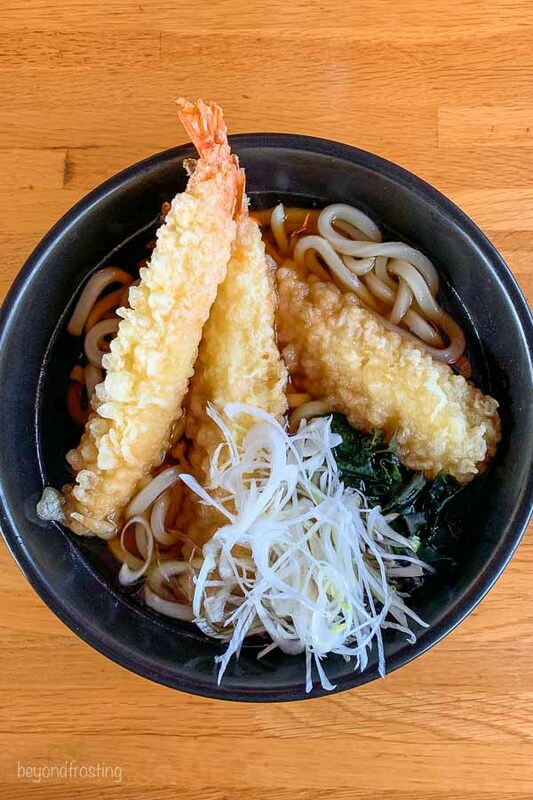 Once we were closer to the village, we just really loved the restaurant at Skye Niseko, and by the time we came in from snowboarding, it was late and we didn’t feel like going into town to grab dinner. However, it was really nice to be close to town. 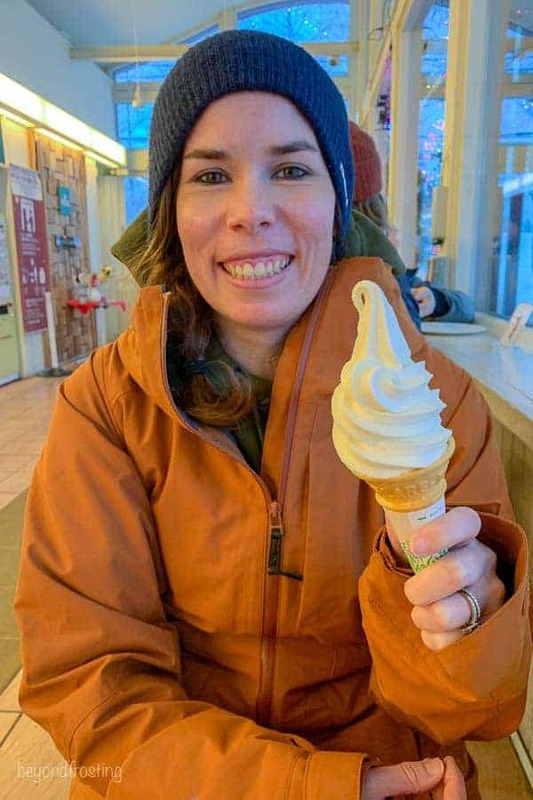 We walked down to the convenience store to grab snacks and drinks to have at the hotel, and we shopped a little bit as well. 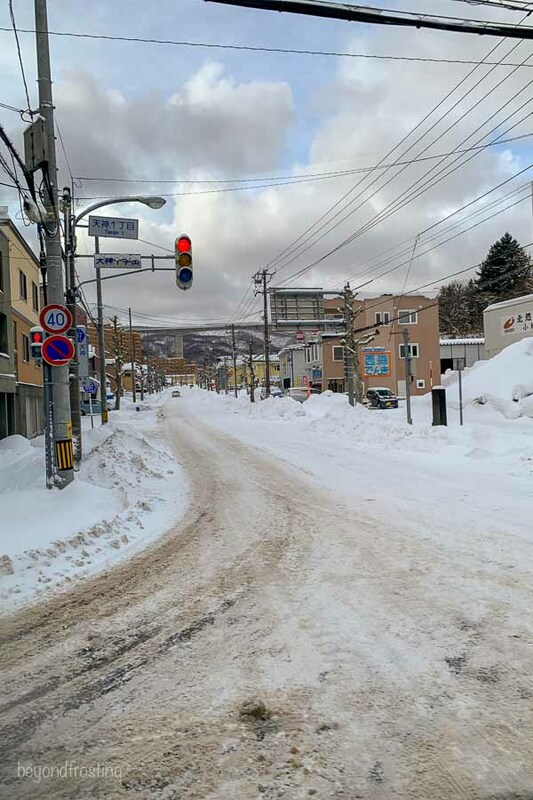 The best part of Hirafu is the proximity to the village. For our last two days, we went to a different mountain called Kiroro Resort. This was a much quieter, more family friendly resort about an hour from Niseko. The first morning we went out, it was sunny for awhile and we got to take in the views of the surrounding mountains. 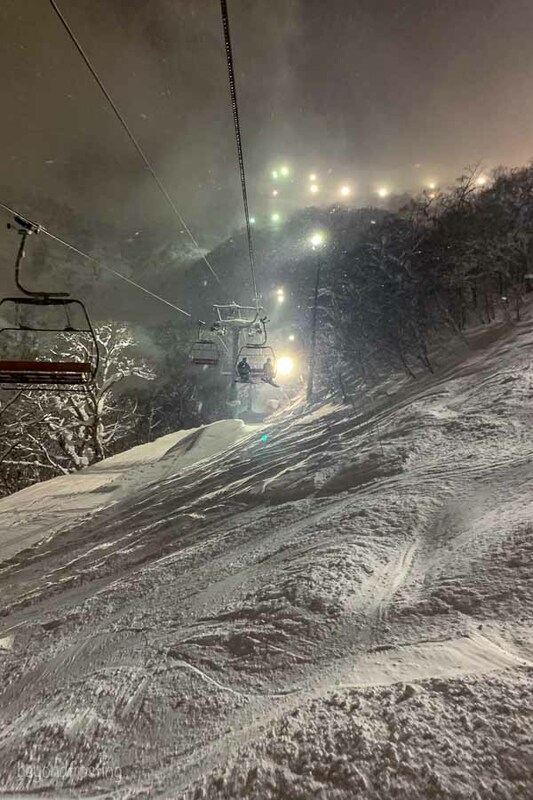 It was beautiful and definitely a whole different type of setting from Niseko. Kiroro was much more secluded that we anticipated. There was no village or town really, it was just the main lodge and two hotels with a variety of restaurants. 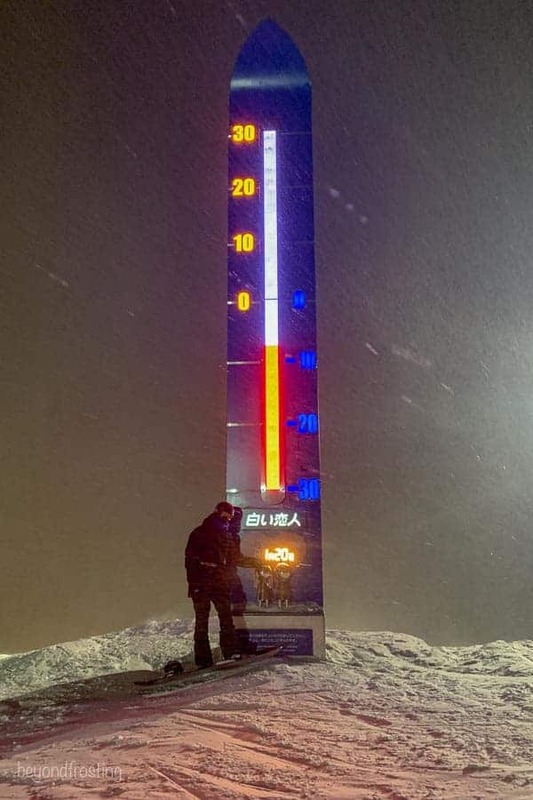 The closest ATM and gas station was back in Niseko! So, we were glad not to have spent too much time there. It’s a great day trip, but we probably wouldn’t stay overnight there again. One of my favorite parts of the trip was a total tourist moment- The Nisa Bell, located at the top of Kiroro. 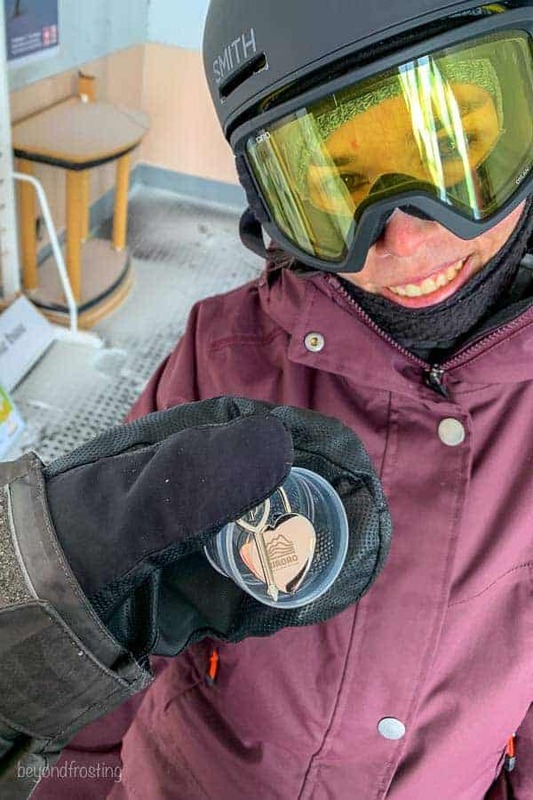 You can buy locks at the top of the gondola station, and the tradition says you and your loved ones should ring the bell twice, make a wish and then seal the lock at the top of the mountain. Eventually the locks are “offered to the gods”. But it was a special way to end our honeymoon and I am going to turn the key into a Christmas ornament. 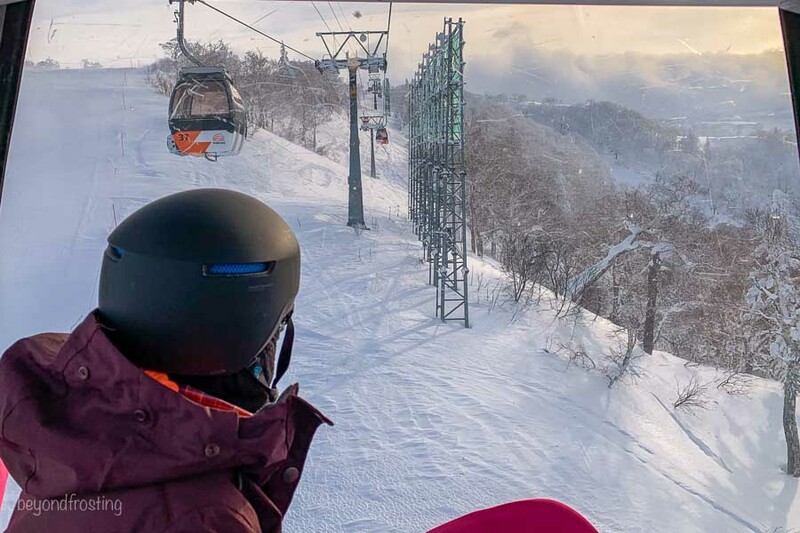 The great thing about Niseko is that it has become such a popular destination for skiing and riding, that it’s very easy to navigate. There’s a lot of western influence and caters to the tourists. You can easily take day trips to nearby mountains and do activities off the mountain as well. 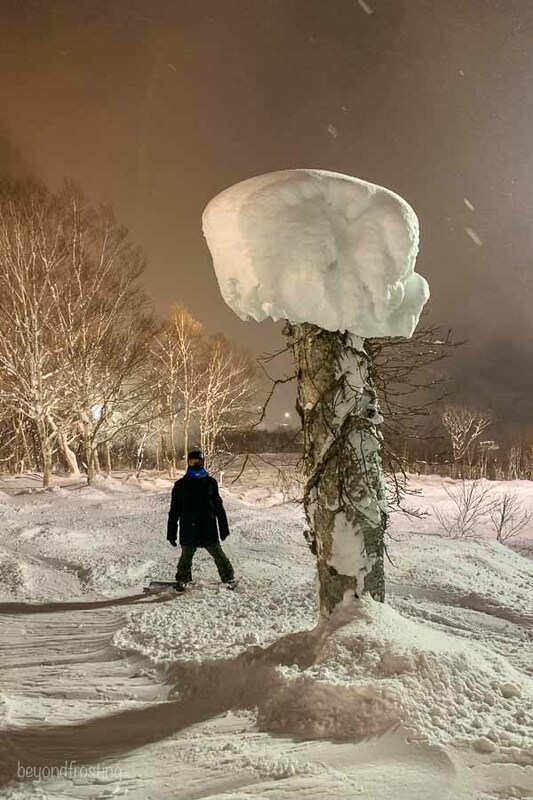 We didn’t get the chance to go to Rusutsu, which is another nearby, much more local resort, but we figured it gave us an excuse to come back. 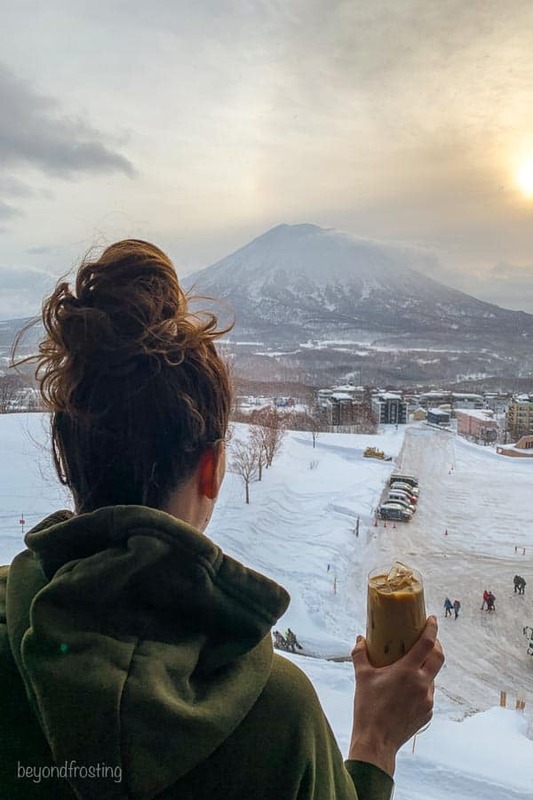 Before we knew it, our time in Niseko had come to an end and it was time to head tome. However, a storm rolled in the night before we left. So, when we boarded the bus, we were handed a piece of paper that said that the highway was closed and the bus would have to take a longer route to the airport. Que the anxiety. Also this photo was clearly taken before I found out. This meant that we would miss our flight if we chose to stay on the bus. Instead, the bus would take us to a train station about an hour away and from there, we could take a 1 hour train ride to the airport. 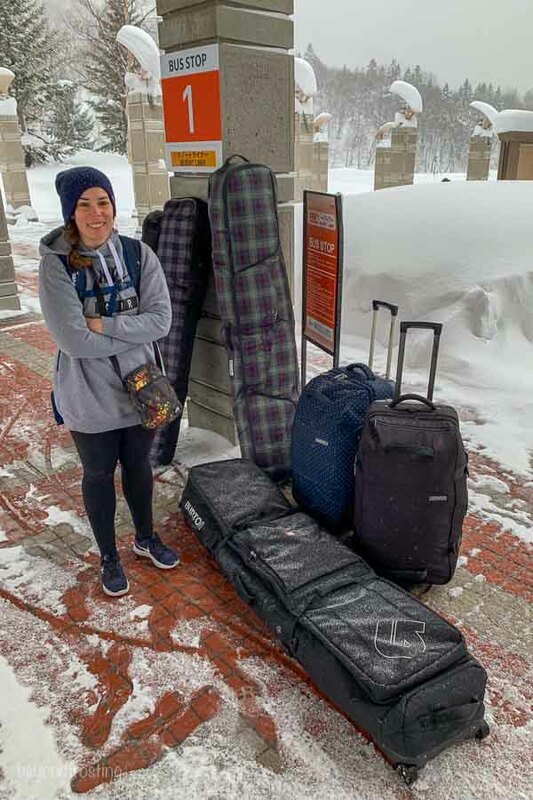 Although it ended up working out, traveling through the train stations, in the slush with 2 board bags, and 2 large suitcases was not on the top of my list of things to experience. Patience goes a long way here, bless my husband for trying to keep me calm and helping with alllll the luggage. 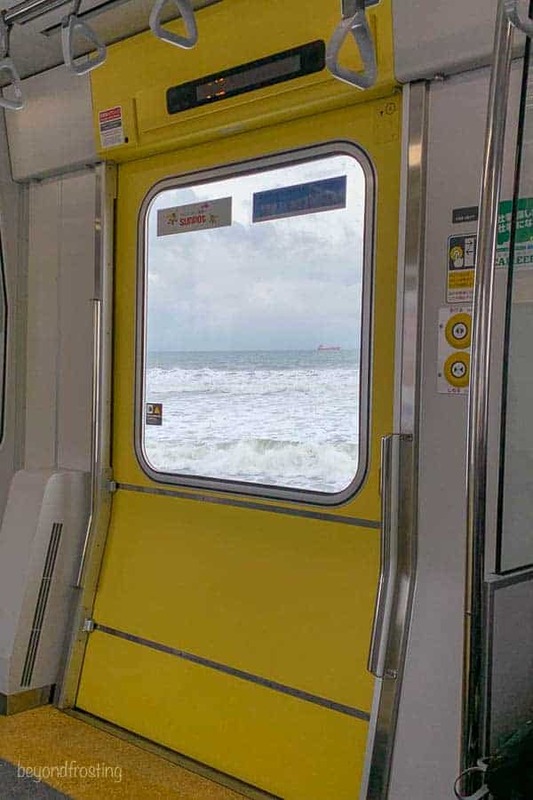 The only bonus of taking the train was that it was right up next to the coast for the first part of the trip, so it was neat to see that. 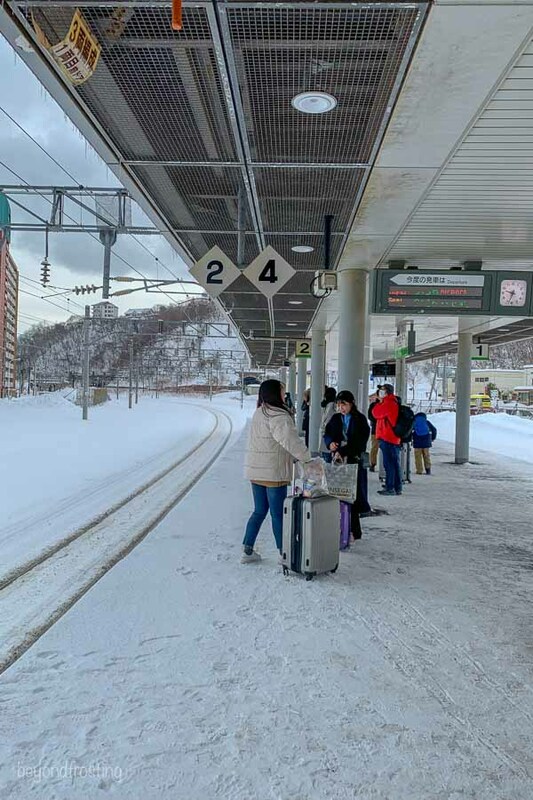 The train also took us right to the airport, so after navigating through thousands of people and up the narrow escalators, we were very excited to drop off our luggage. Luckily for us, that was the only real travel issues we ran into. This was our last meal in the airport. 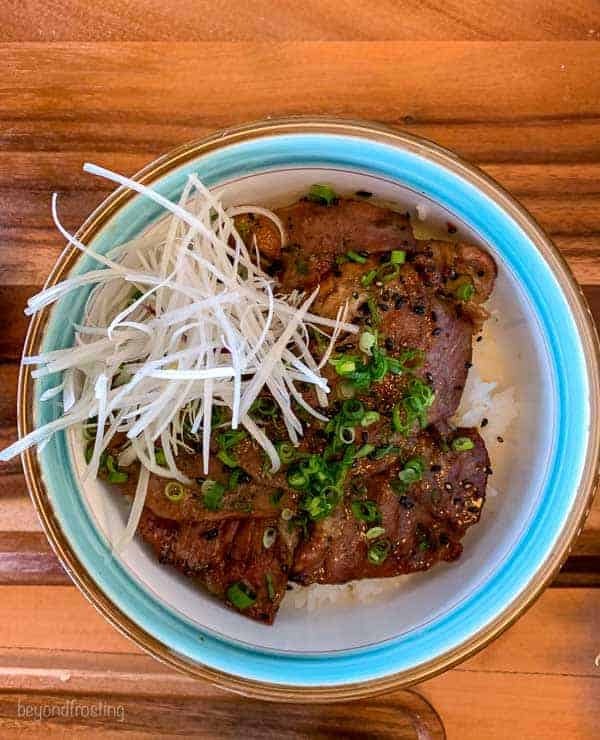 If you’re traveling through be sure to eat BEFORE you go through security, that’s where all the better restaurants are. At this point I was pretty ready to be home. 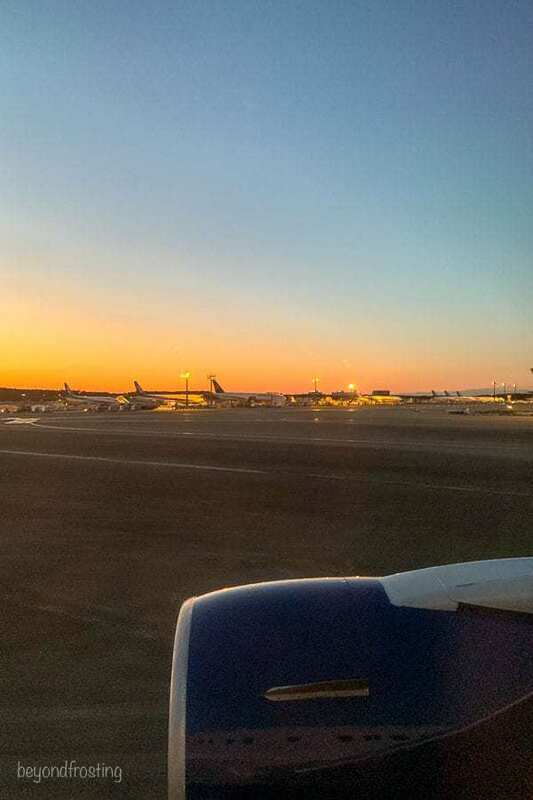 18 hours later we were landing in Portland, exhausted but filled with memories and stories to tell. I feel so lucky to have had this experience. It’s something I’ve always dreamed of. We planned the trip for several months with only one real idea in mind, snowboarding. A lot of people have asked if we’d go back. The answer is a definite yes, and now that we know a little more about it, it will make it even easier to plan. Wow! What an amazing trip! I’m so happy that you two got to live out your dream! Thank you so much Sara. It was truly magical!